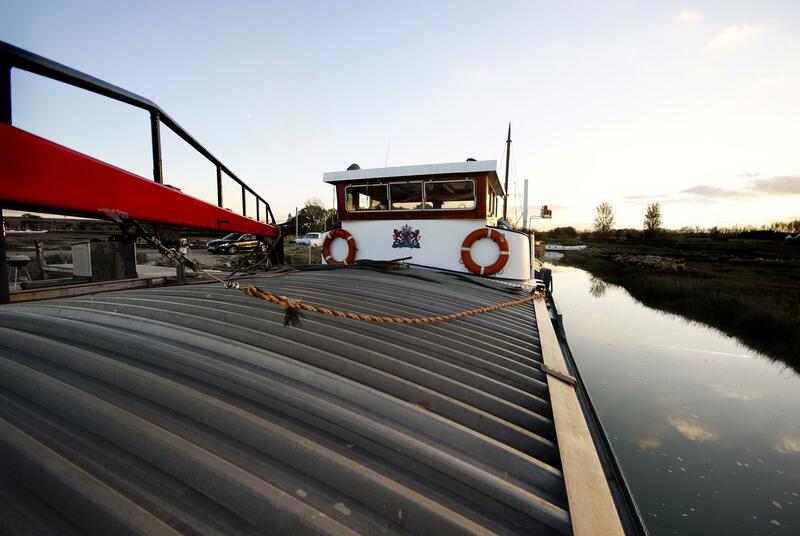 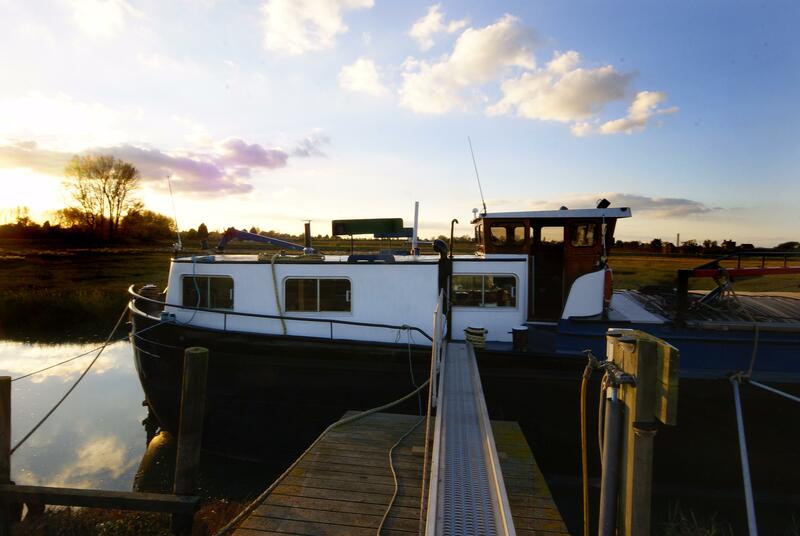 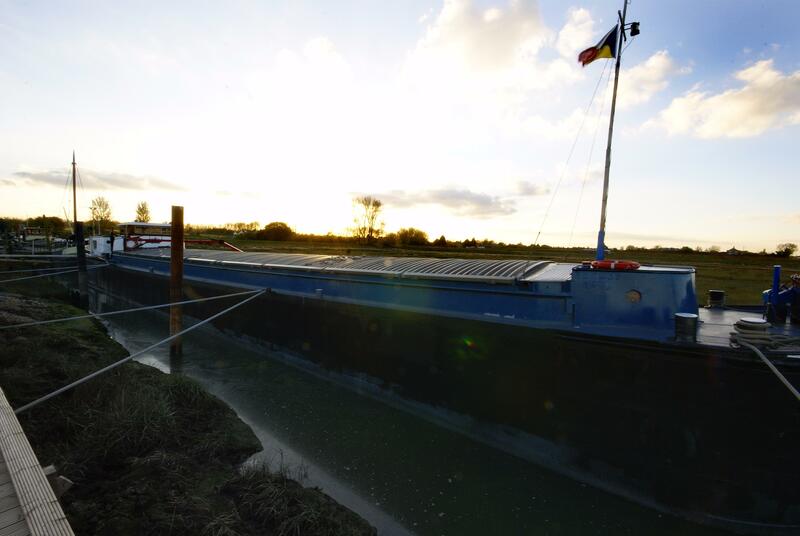 Dutch Barge "Animo" is a fully operational ship being offered for sale with transferable residential mooring, the vessel is being used as a non cruising live aboard. 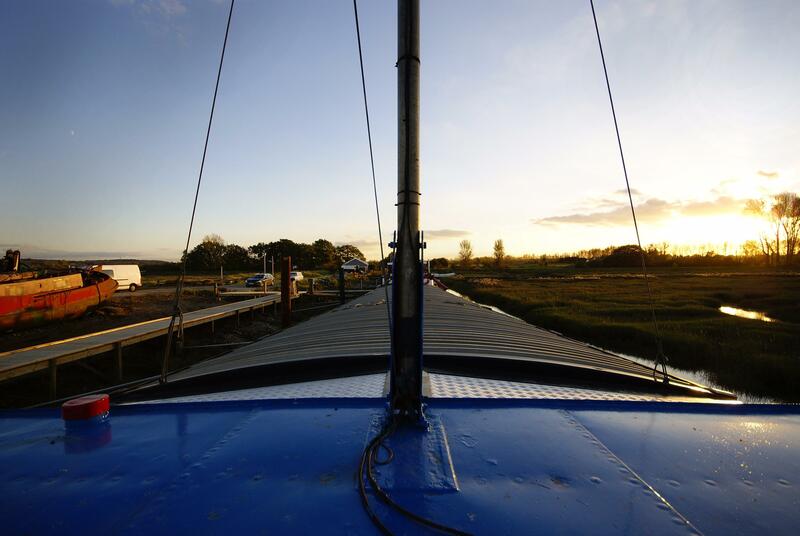 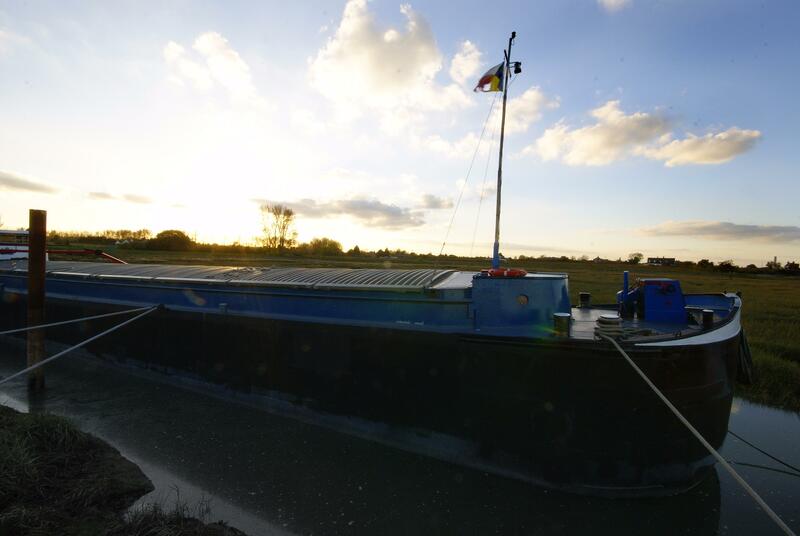 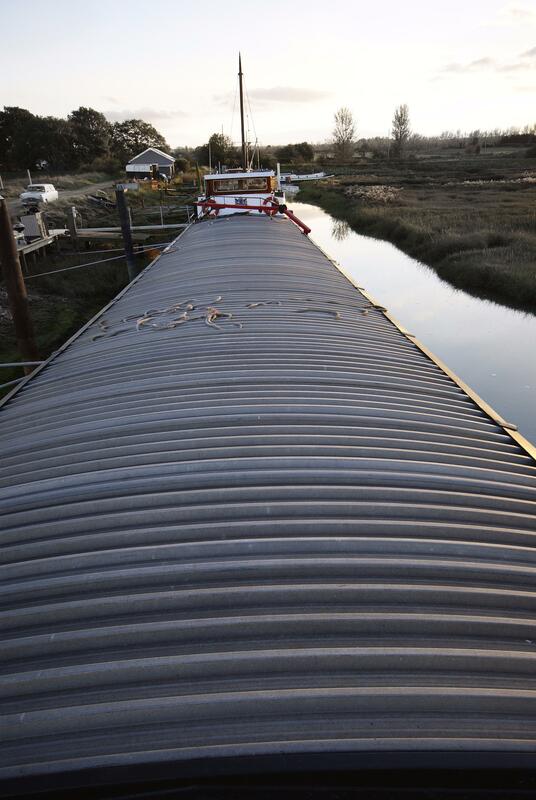 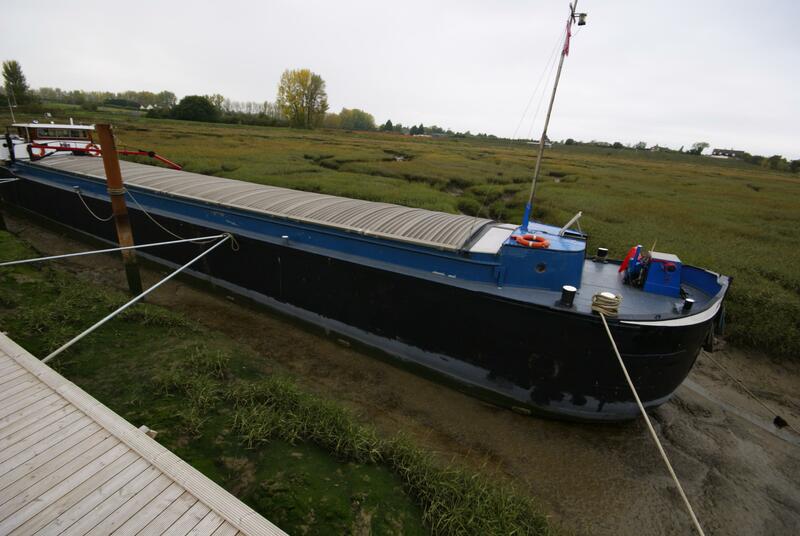 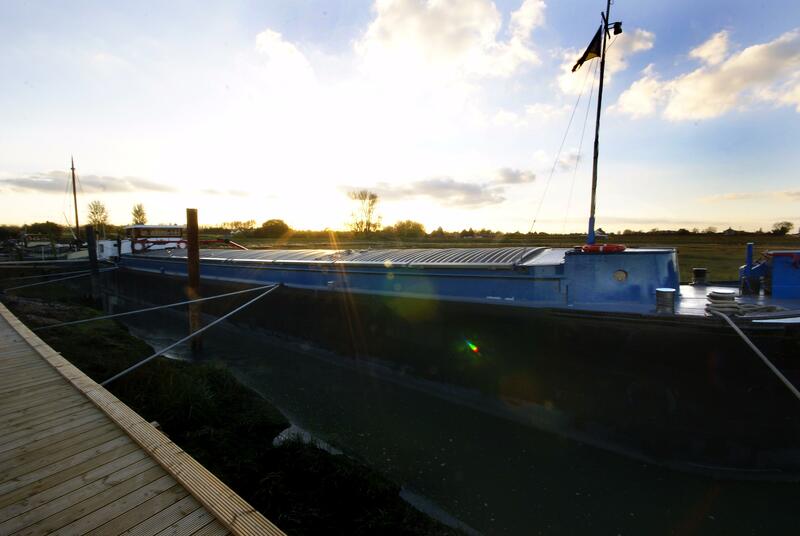 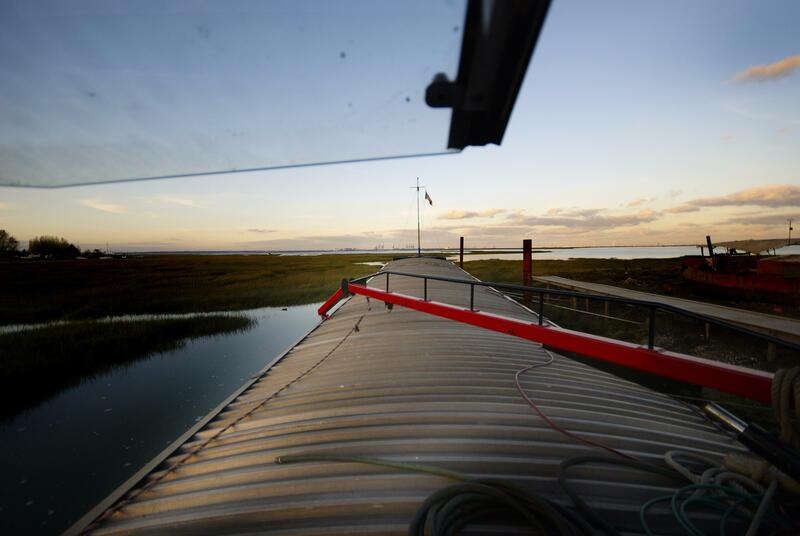 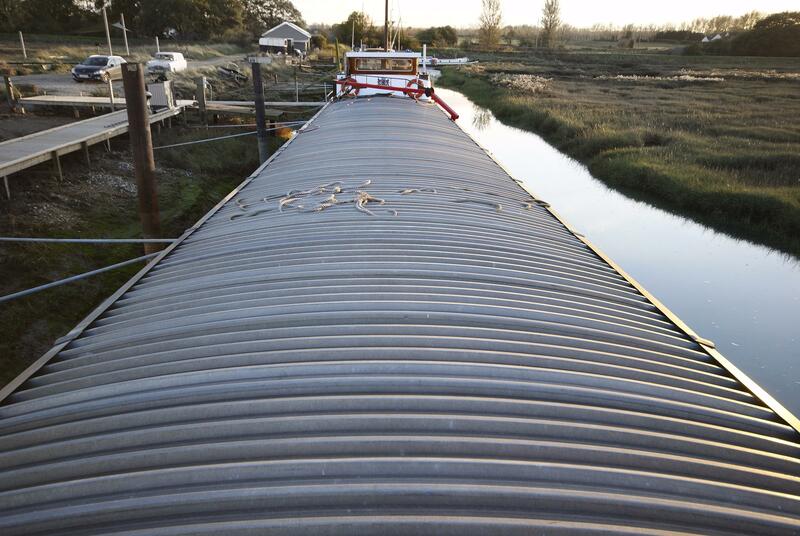 However is ready to go to sea or be moved to another long term birth place.This Barge is being offered with a gated residential berth 3.5mi from a HS1 Station for london St Pancreass. 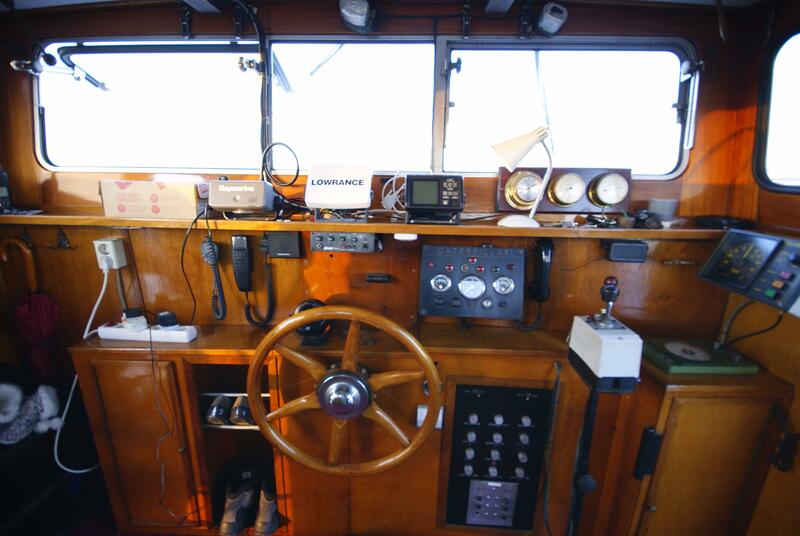 Plus a full inventory of tools and plant accumulated through years of diligent ship keeping. 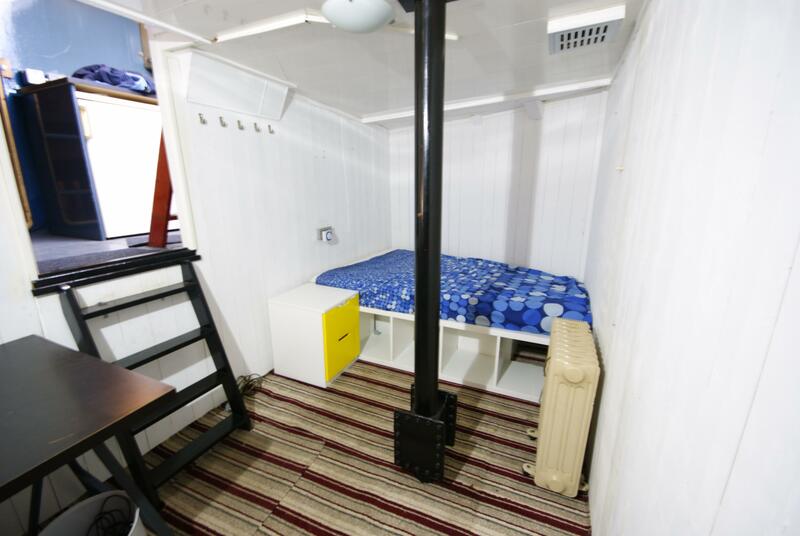 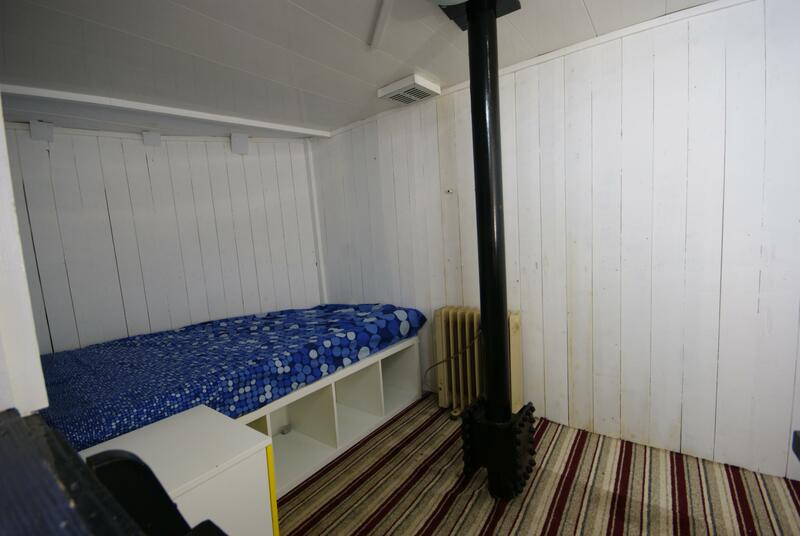 The Skippers accommodation has been extensively re fitted for live aboard. 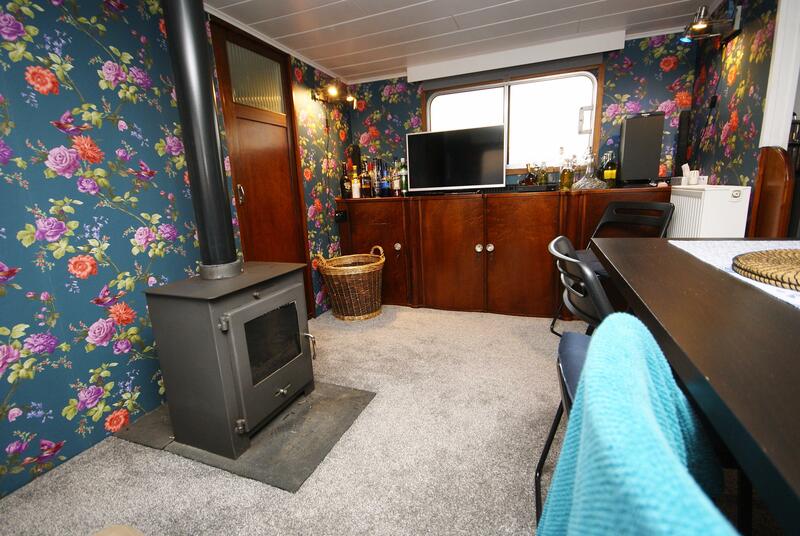 along with an office and utility room in the bows. 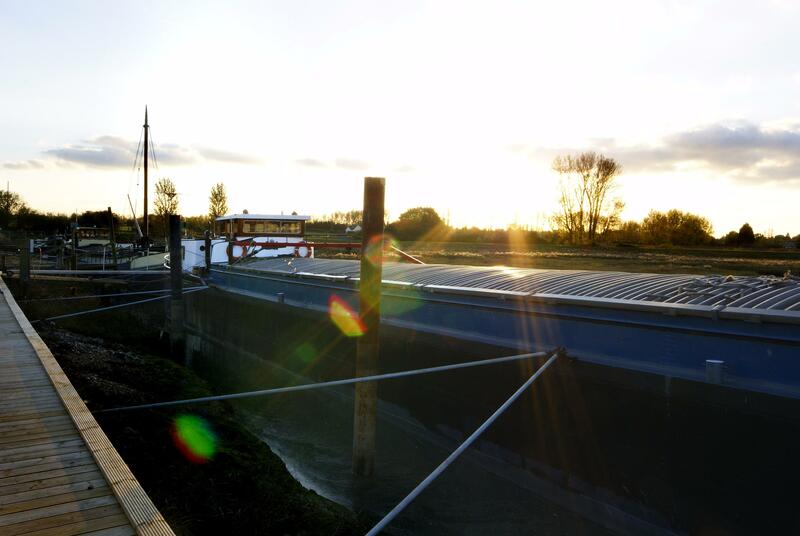 services and water treatment plant are in place for future modeling of the old. 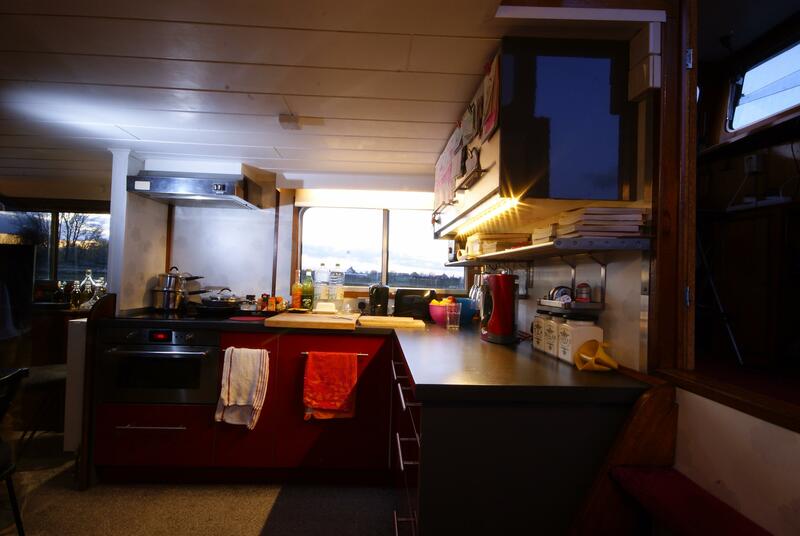 Great liveaboard / House boat. 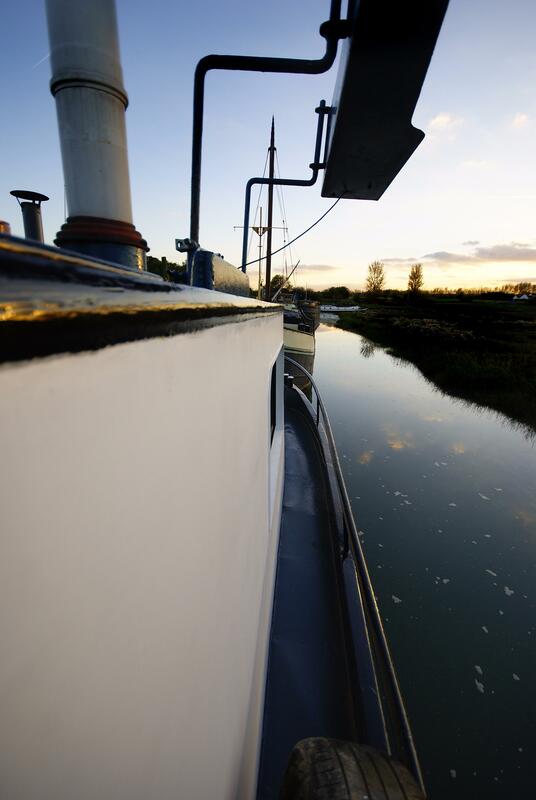 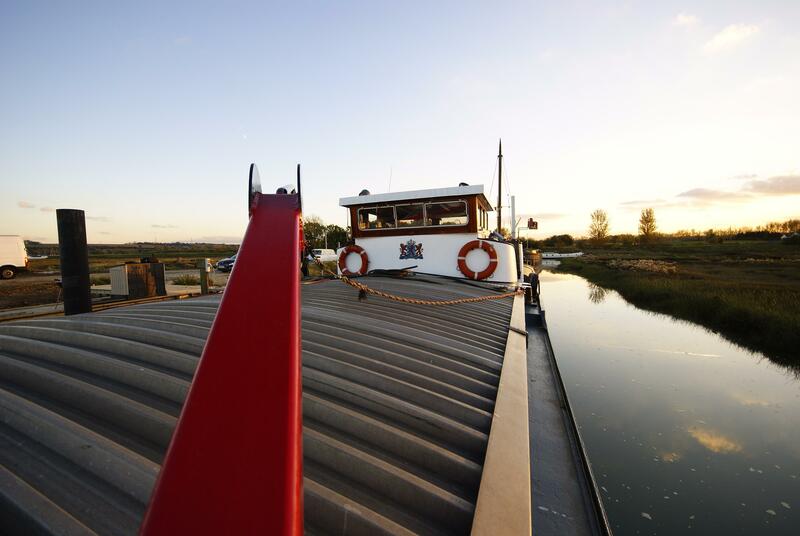 Boarding is via a galvanised Gang plank with hand rail aft of midships on to side decks. 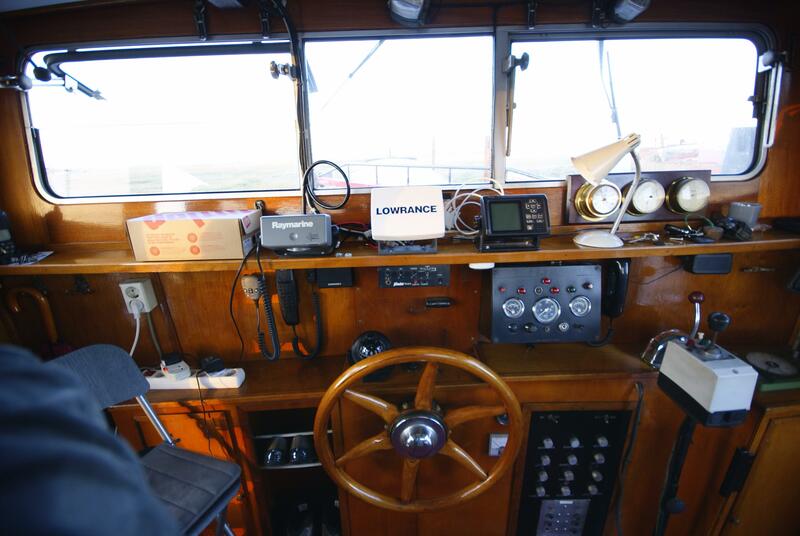 The wheelhouse is large enough for 2 to 3 persons, a standing Helm position is orientated centrally and along the line of the keel. 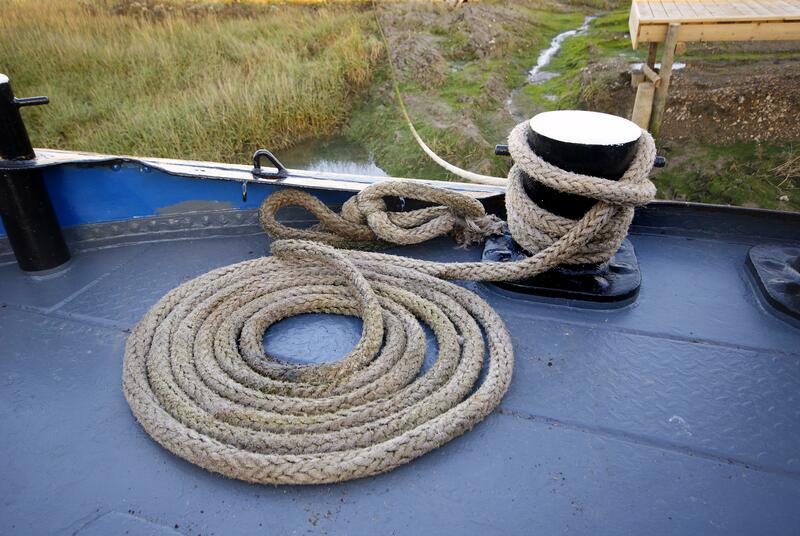 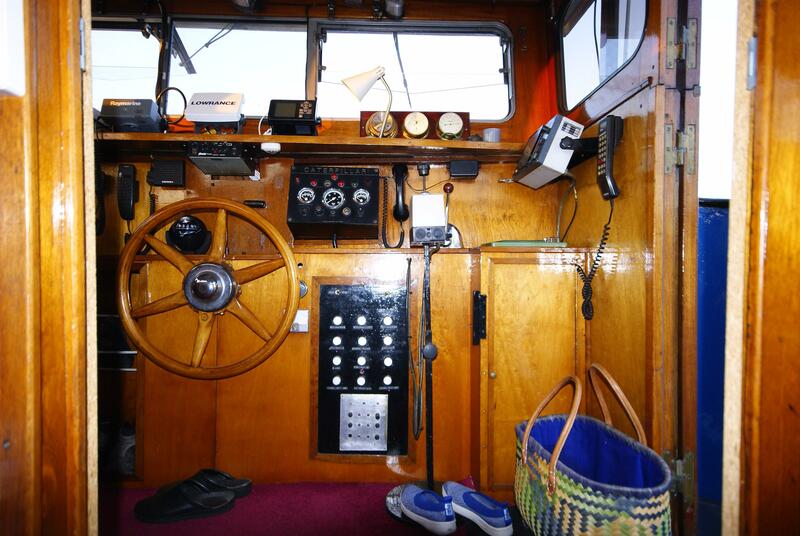 There is a large surface behind the helm for chart work and storage, hanging hooks and boots store. 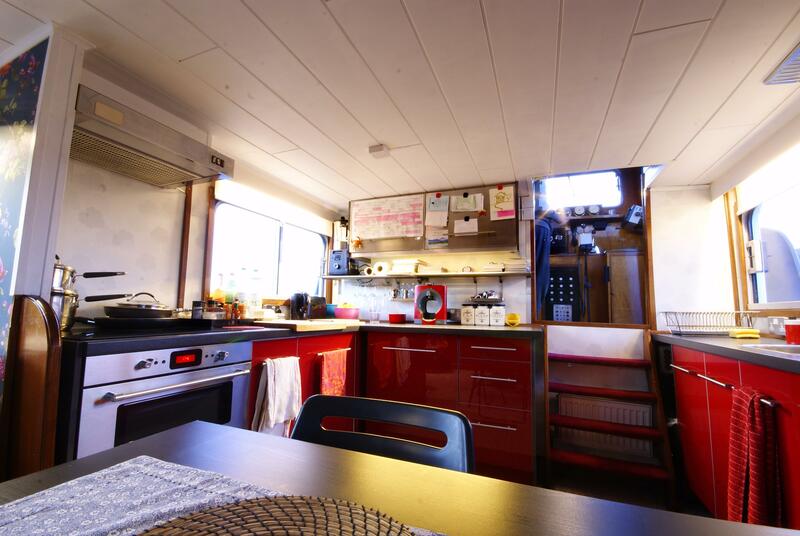 The full sized C shaped galley opens out to the rear, consists of modern high gloss base units incorparating sink H&C water, high level eye line wall units. 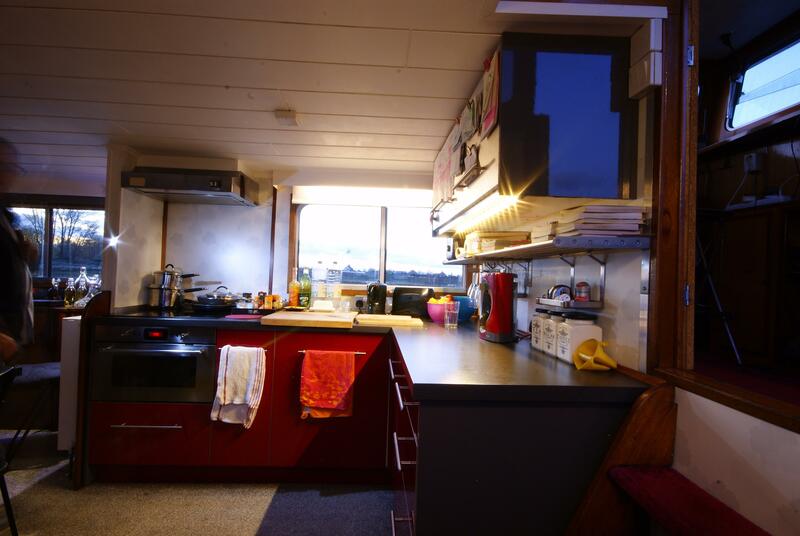 Electric Oven Hob and Extractor. 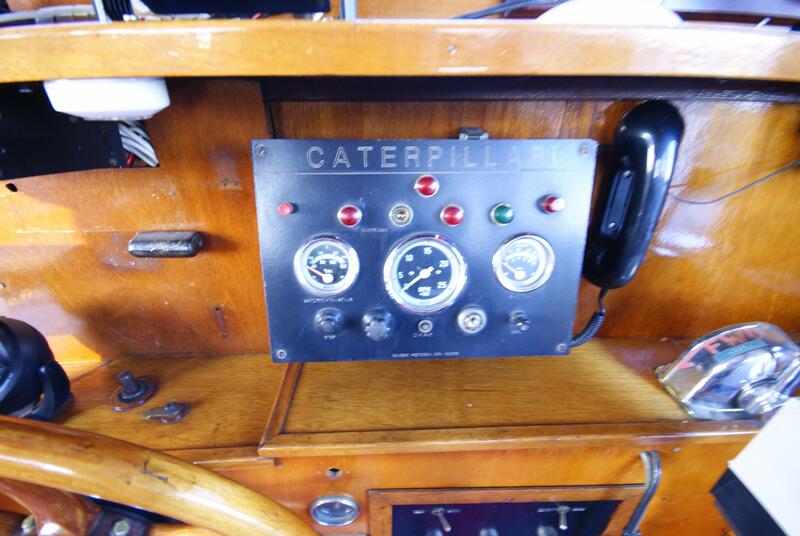 The saloon has an original built in cabinet to the port side with TV point power etc. 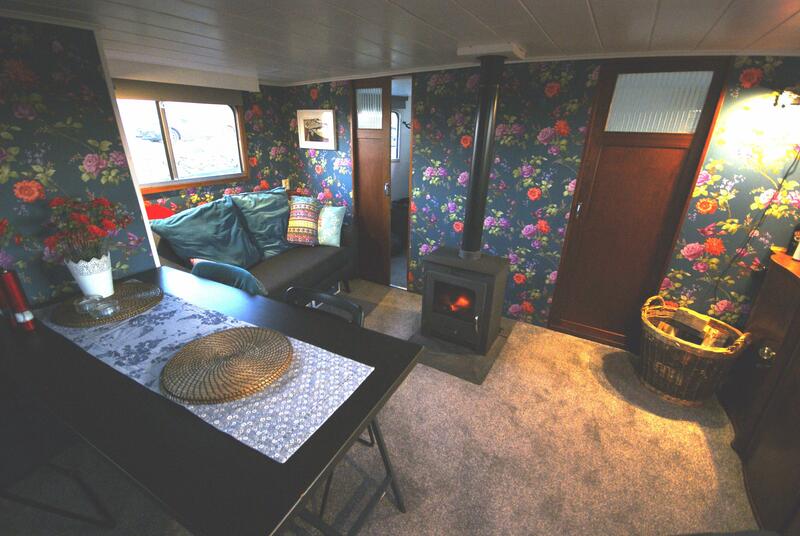 To port is a free standing sofa and a wall mounted radiator. 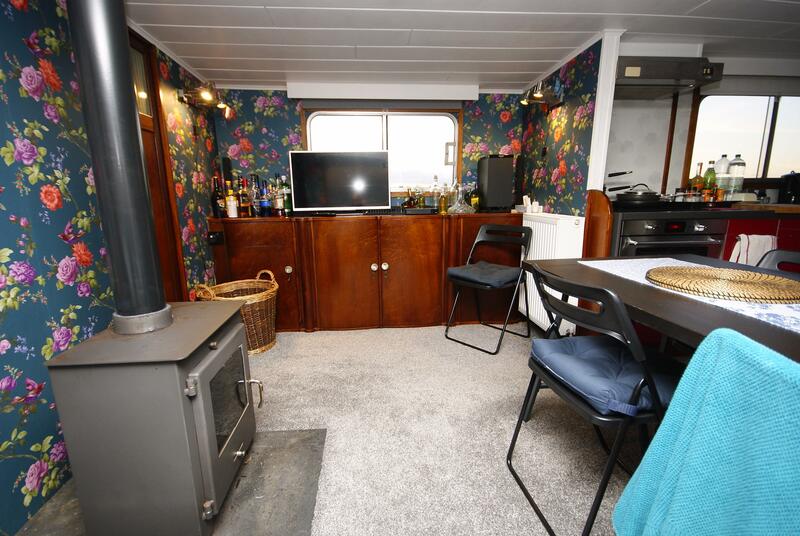 the focal point of the saloon is the wood burning stove, it is forward facing and centralised against the rear bulkhead. 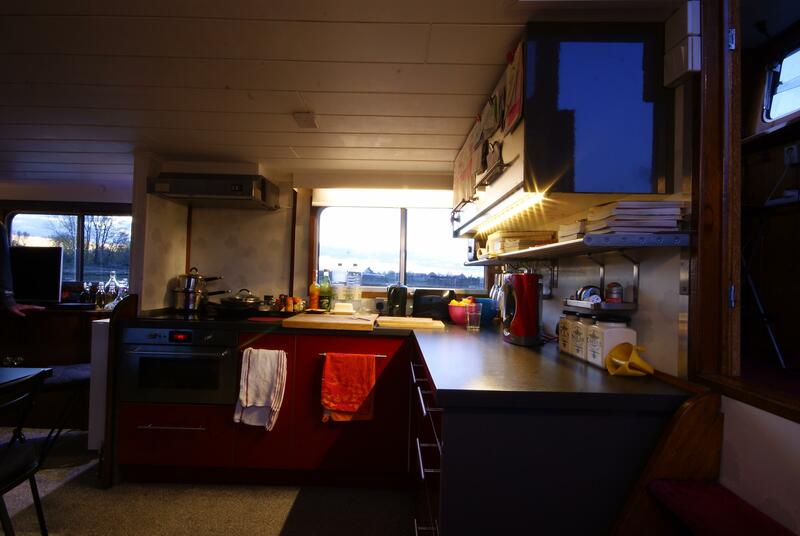 Master Cabin is D shaped following the lines of the aft deck. 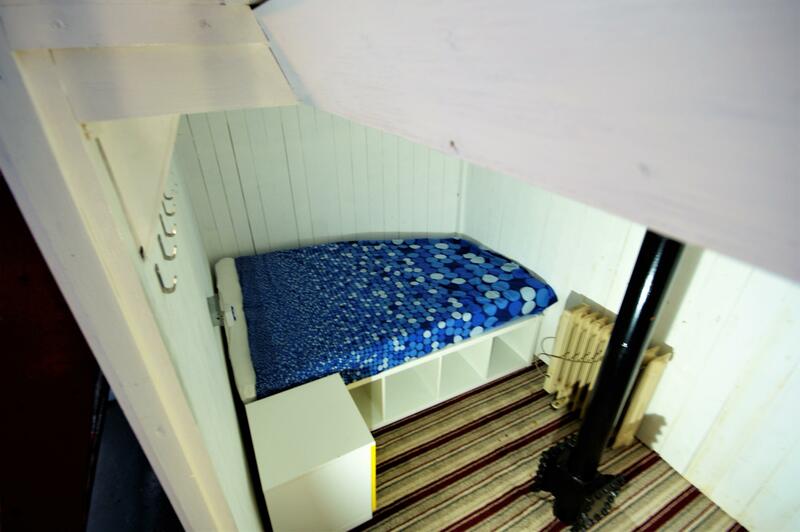 ample space for double bed wardrobes etc. 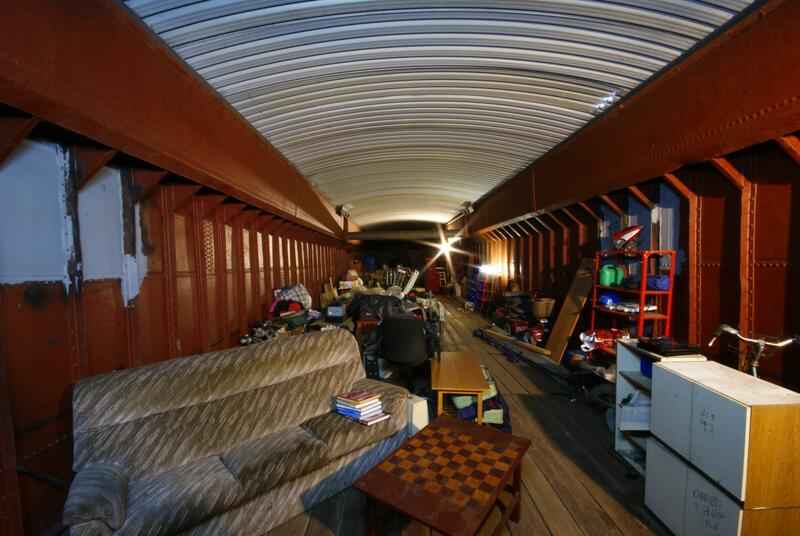 There is further space for storage under the side decks. 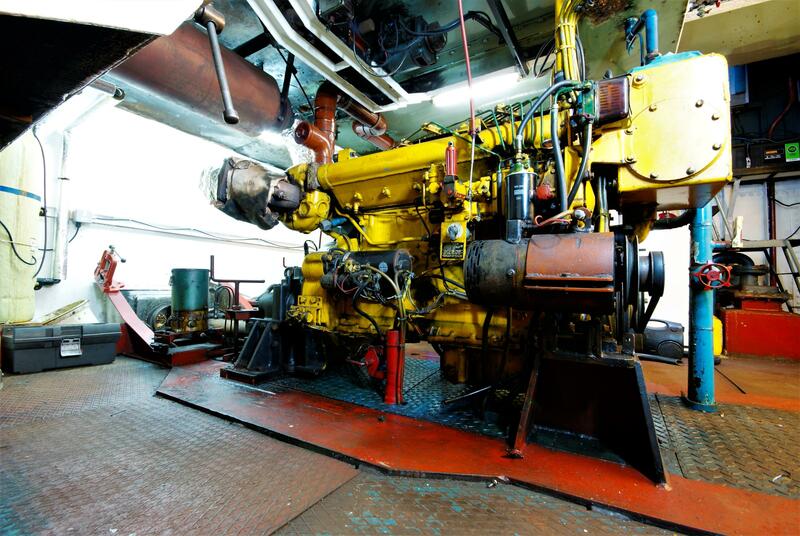 The engine room has standing headroom, port and starboard fuel tanks are mounted off the bilges on each side of the ship. 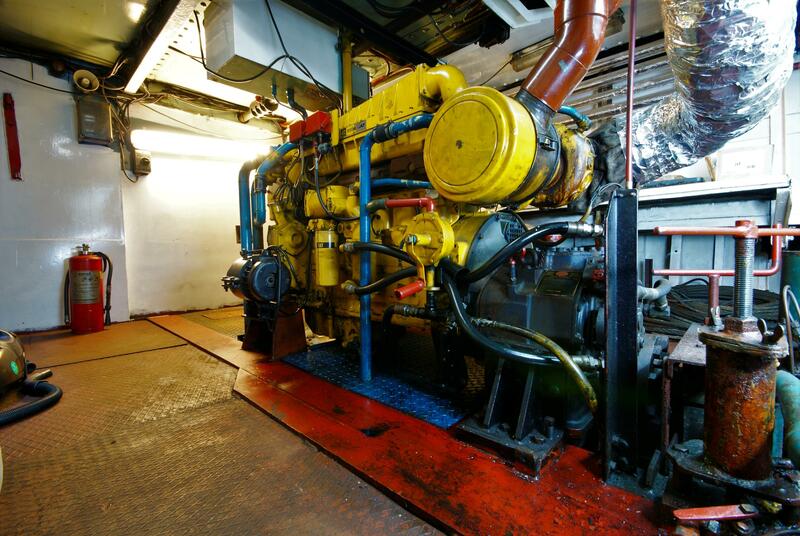 The single Caterpillar engine has space all round for maintenance. 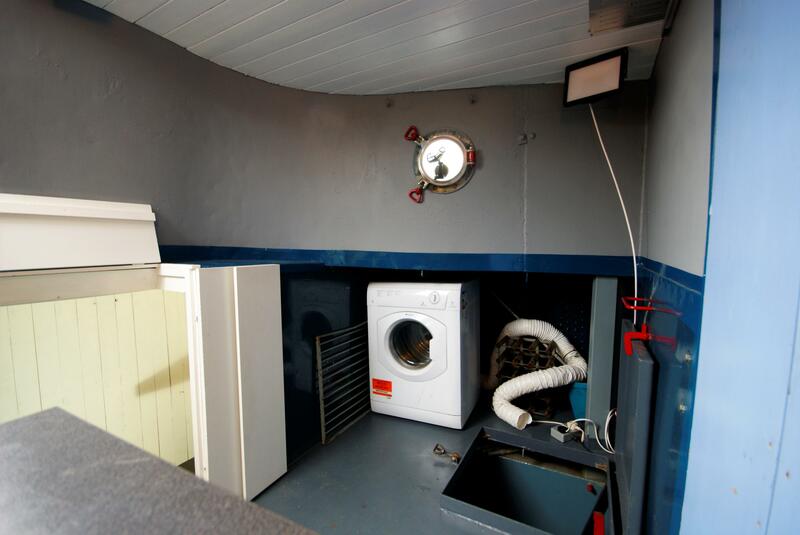 To port a bank of batteries and worcester oil fired heating boiler. 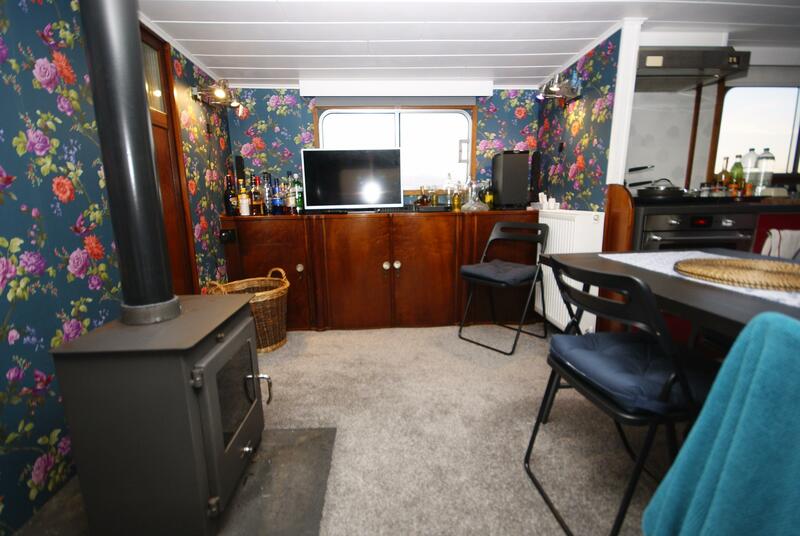 To starboard a workbench with vice and hot water cylinder. 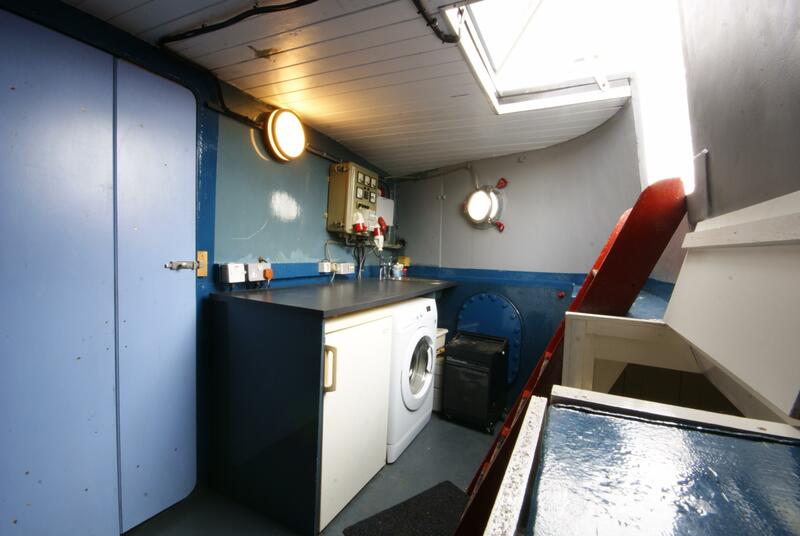 utility room consists of washing machine and tumble dryer , space for clothes airer baskets etc. 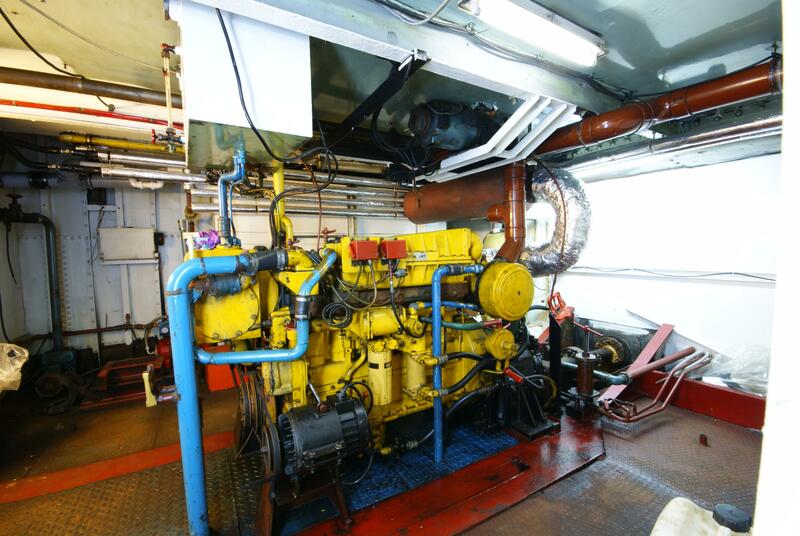 In the floor and to the starboard side hatch and ladder down to Generator plant room. 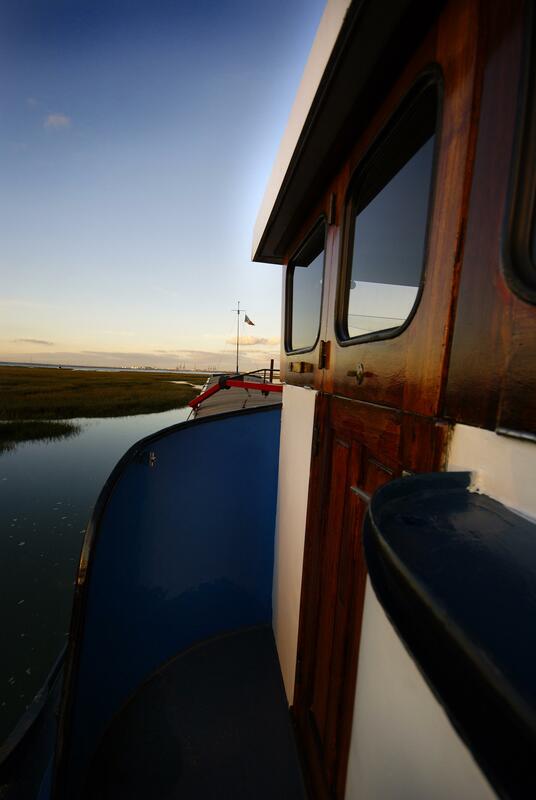 looking forward doorway to seps down to forward cabin in use as an office. 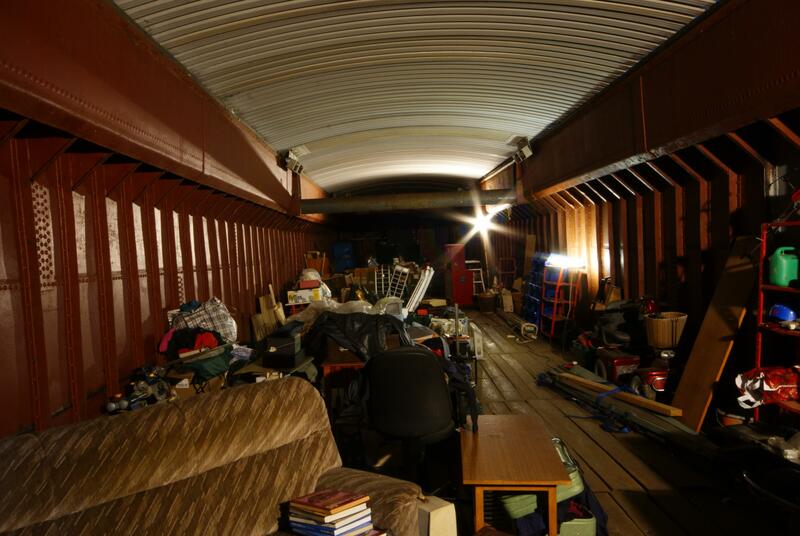 Looking art door through main Hold space. 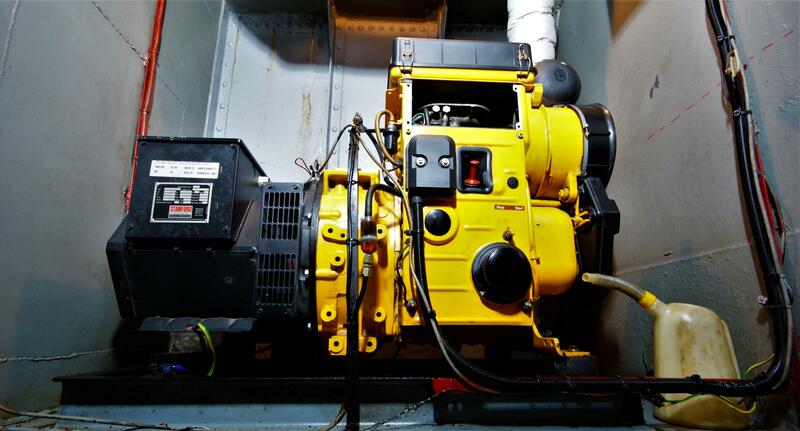 consists of anti vibration mounted Generator : Hatz 2M41 20 KVA 3 phase. 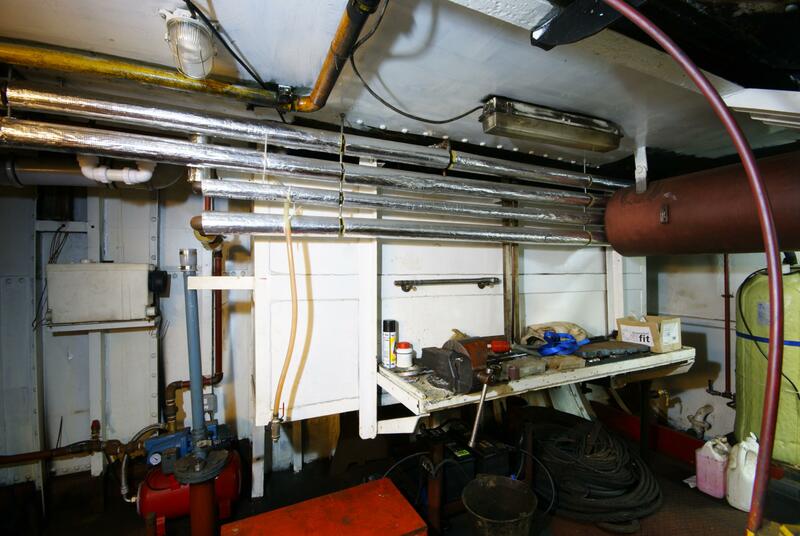 Clad exhaust vented overboard, racking for storage etc. 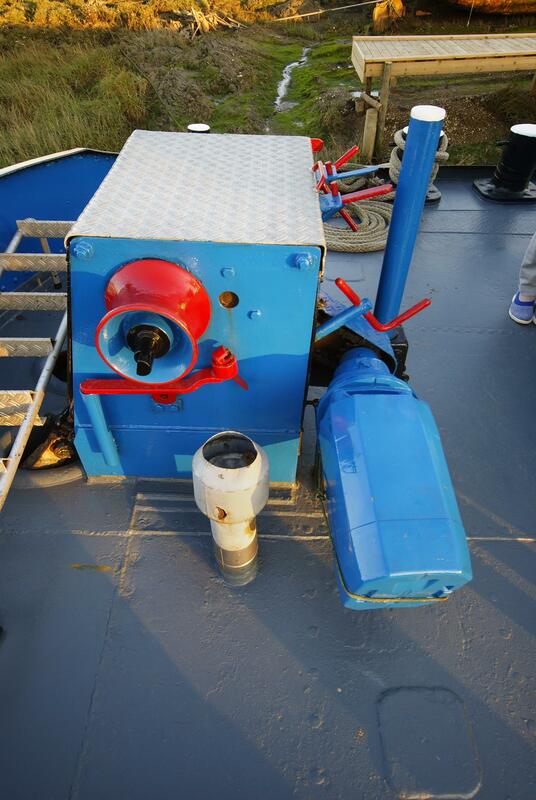 the forecabin is insulated and T&G clad has lighting and portholes. 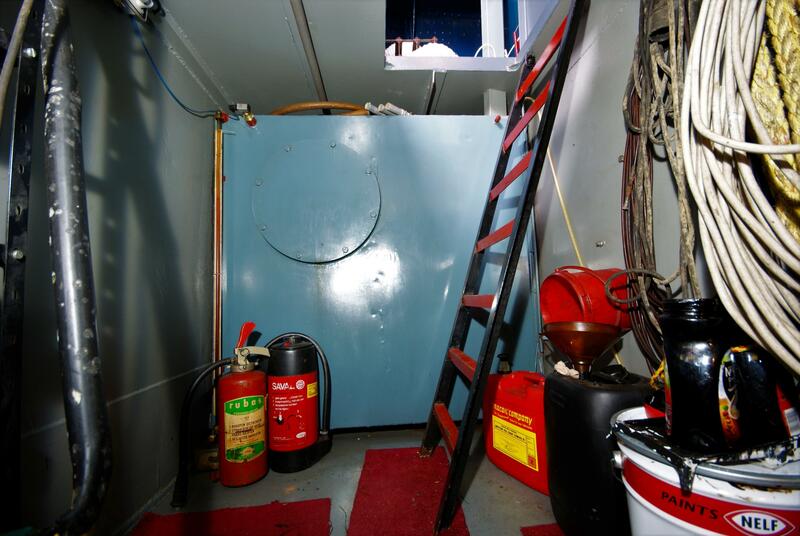 The cargo hold has a floor of approximately 100M squ with a floor, in the aft end there is plastic tanks Fresh and Waste water. 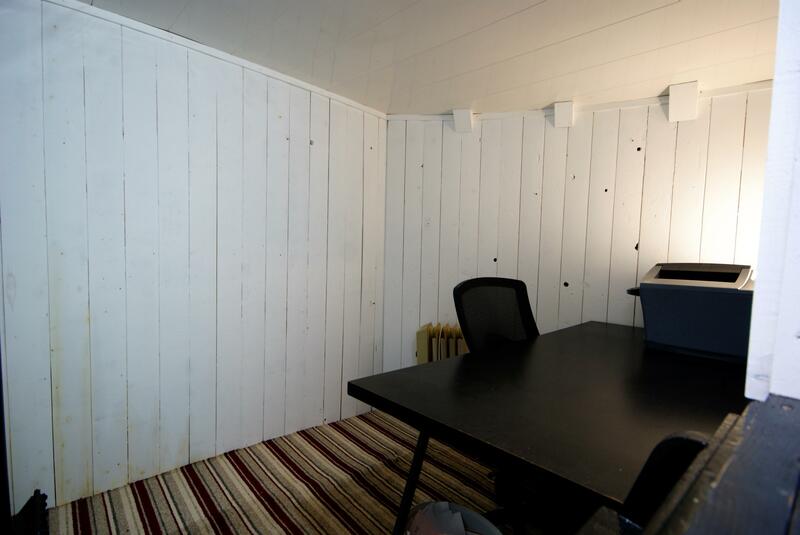 The cargo hold is clear dry with potential for further conversion or a work from home business that would otherwise be in outbuildings. 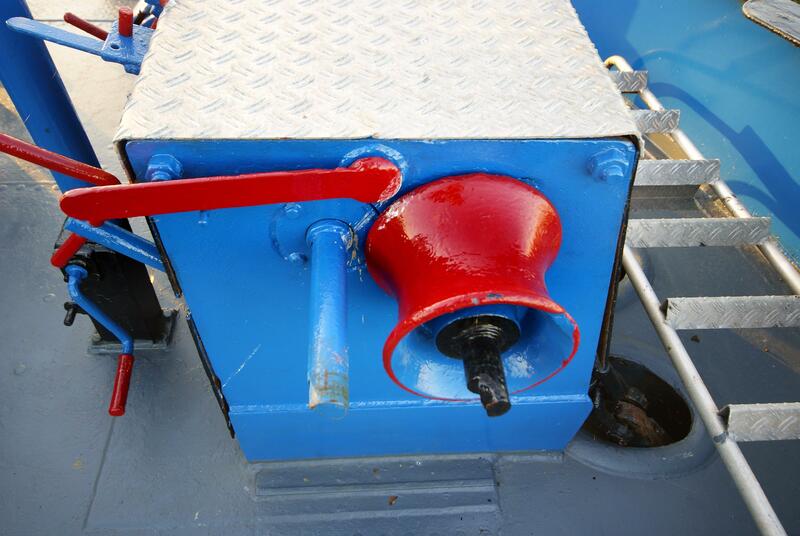 Lift out and roll back cargo hold covers. 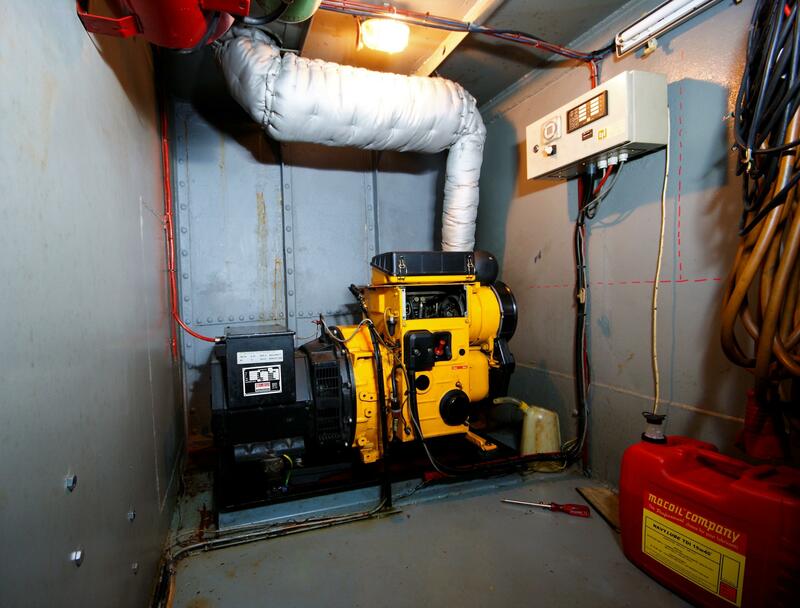 Generator 1x Hatz 2M41 20 KVA 3 phase. 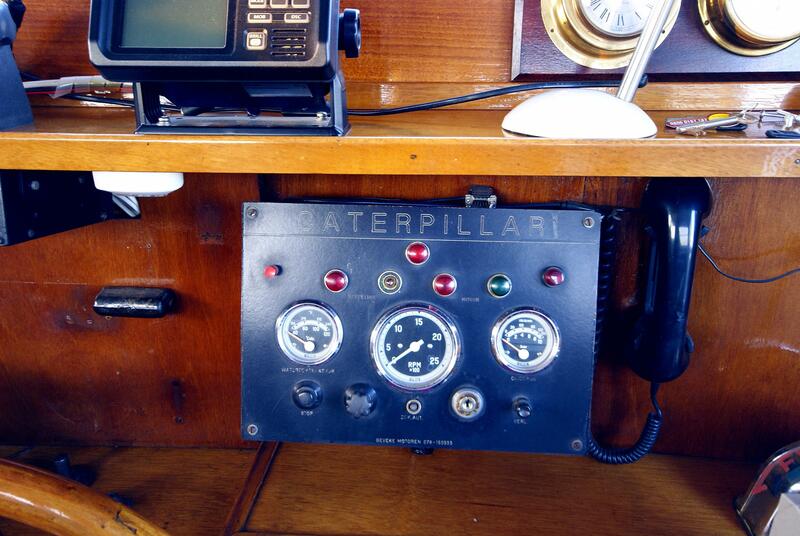 Single Caterpillar 3306 PC Turbo Charged.